According to relationship expert and bestselling author Dr. Willard F. Harley, Jr., after couples get married, they often develop habits that slowly undermine the love they have for each other. If tolerated, these Love Busters--selfish demands, disrespectful judgments, angry outbursts, dishonesty, annoying habits, and independent behavior--will destroy a couple's love for each other. The solution, however, isn't merely to avoid these negative behaviors and attitudes. Rather, it's to cultivate Love Builders--positive habits that will strengthen the relationship. With Dr. Harley's expert guidance, couples will be able to avoid the major causes of marital unhappiness and disappointment. Instead of tearing their marriage apart, they will learn to build it into the marriage they had needed and wanted. 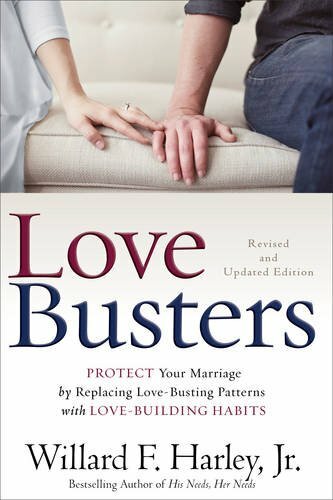 This book is a perfect companion to His Needs, Her Needs and will be useful to pastors, counselors, and couples. View More In Marriage & Adult Relationships. If you have any questions about this product by Baker Pub Group/Baker Books, contact us by completing and submitting the form below. If you are looking for a specif part number, please include it with your message.